Argh! It's the evil Lord Meto, twin brother of Emperor. 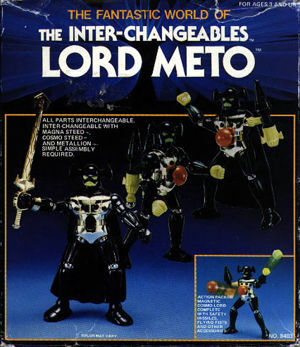 Lord Meto is pretty much a duplicate of Emperor. Not sure if his fists glow in the dark or not, as some versions of Emperor did. It hasn't been reported how hard this figure is to find, but it can be assumed that it's not incredibly rare.